Games are excellent learning opportunities. Children have so much fun they barely notice they’re learning. Here are some fun games to try during your family’s next game night. If your family has the tradition of having game nights every week, you’ve got the perfect opportunity to bring education into the game. If you don’t already have game nights at home, you should start doing so! 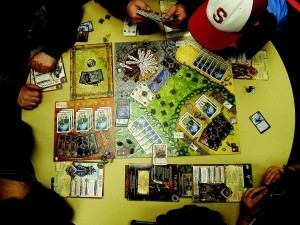 Board game manufacturers develop many excellent games that are both fun and educational for children and adults alike. Start up a healthy competition with these games. This is classic board game! It’s perfect for younger children. Guess Who? allows children to practice their vocabulary by describing the people in the pictures. It helps children learn about similarities and differences. Just like in the TV show, challenge every member in the family to find out who knows more! This board game allows you to play against each other or against the game itself. There’s a reason why this game is an all-time favorite. Players try to prove who has the best vocabulary and strategy. Scrabble even gives you some math practice. All you need to do is spell out words and make as many points as possible. There’s also a junior version for younger players. Cranium is packed with fun. The players are challenged to act out, draw, sculpt, or speak their answers. They exercise many parts of their brain. There are many versions of Cranium, from pre-school to Disney, and even an adult version. Games can boost your children’s learning, but if they need a little extra help to improve their academic skills, tutoring in Sandestin is what they need. You can call The Tutoring Center, Sandestin FL at (850) 424-7935 to learn all about their tutoring programs.